In 2012 Cedar Fair’s, Knott’s Berry Farm Amusement Park in Orange County California joined the likes of Disney and Universal by getting into the pin trading business. Pin collecting and trading dates back to 1896 to the Summer Olympic Games in Greece where Olympians traded pins as a way to meet and greet athletes from other countries. In more recent times, Disney has created a big market for pin trading at its theme parks, including Disneyland just down the road from Knott’s. 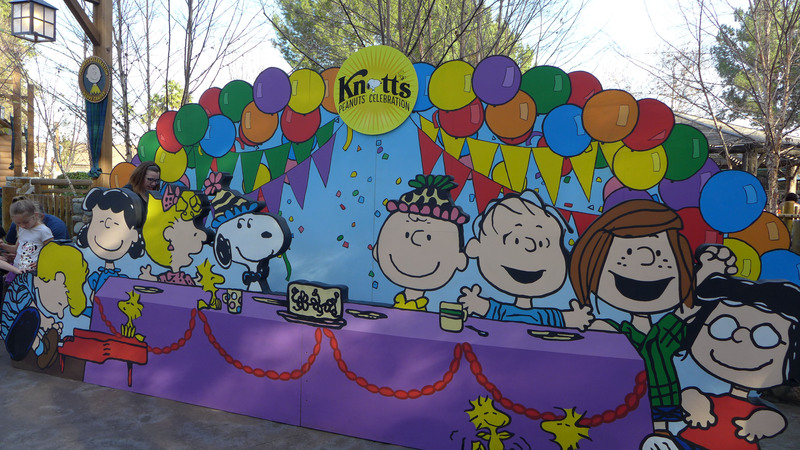 This year Knott’s launched it’s own collector pin trading program featuring Peanuts characters and attractions. The first series consists of 31 pins from 2 collections which includes a Peanut’s Collection and a Knott’s collection. Every week a new design of the series is released which started back on May 25, 2012. Knott’s Official Trading Pins have two classifications, pins that can be purchased in one of Knott’s designated retail locations throughout the park and “branded” pins that can be only be acquired by trading with Knott’s Berry Farm team members. All trading pins feature the official Knott’s Pin Trading logo embossed on the back. The “branded” pins carry an additional identification, Snoopy’s paw print on the front of the pin. All pins are limited editions. Pin purchases are limited to 2 pins per style per day. Ideally you can trade with Knott’s member’s to acquire some of the “branded” pins. below is a statement from Knott’s PR..
Knott’s Berry Farm Team Members available for Pin Trades wear lanyards or belt patches with a selection of official Knott’s Berry Farm Trading Pins. You are free to approach a Team Member and trade as long as he or she doesn’t already have that pin on their lanyard. The trade transaction is one for one – one of yours for one of the pins on the lanyard.Please note that Knott’s Berry Farm Team Members are not permitted to take cash or gifts as trade for a pin. Knott’s season pass holders can purchase a $5 starter kit that includes a lanyard and a special Snoopy pin shaped like a sheriff’s badge at Gold Trails Hotel in Ghost Town, Snoopy’s Camp Store and Cordy’s Corner. 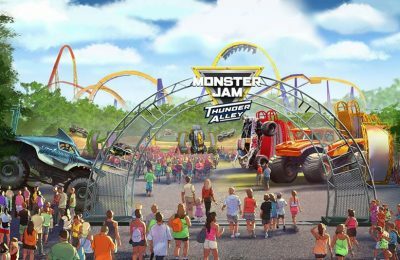 A lot of the new Cedar Fair marketing campaigns and programs are being kindled from Matt Ouimet, Cedar Fair’s new President and CEO who spent 17 years with The Walt Disney Company. Although things are still handled in meetings and voted on, park official’s tell us Ouimet has a big part in the final say. This year, Knott’s has updated it’s website and has changed their slogan from “America’s 1st Theme Park” to “California’s Best Amusement Park!”, which is believed to stem back to Ouimet’s doing. 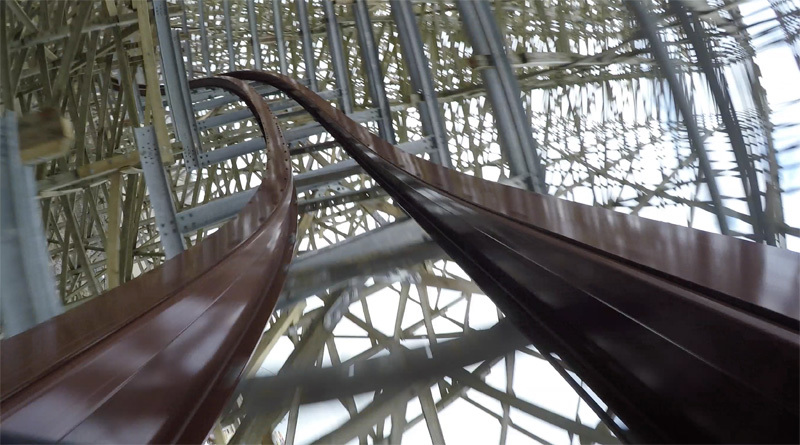 Ouimet also had a heavy influence in starting the new “FUN Perks” program at Kings Island that was tested out this year. FUN Perks is a rewards program that grants you points each and every time you visit the park. More on that new program over at funperks.com. Knott’s was the “test park” for this new pin trading program for 2012. 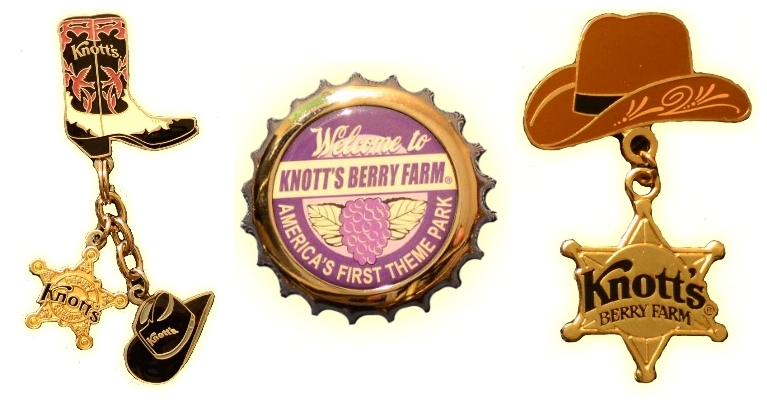 With the program being a success, expect other Cedar Fair park’s to be on board with the pin trading craze very soon..
for more info on Knott’s Berry Farm visit their official website!